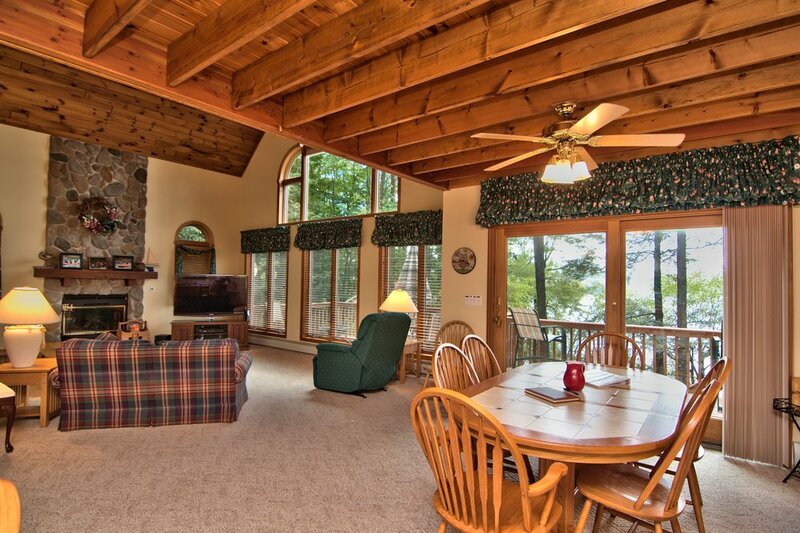 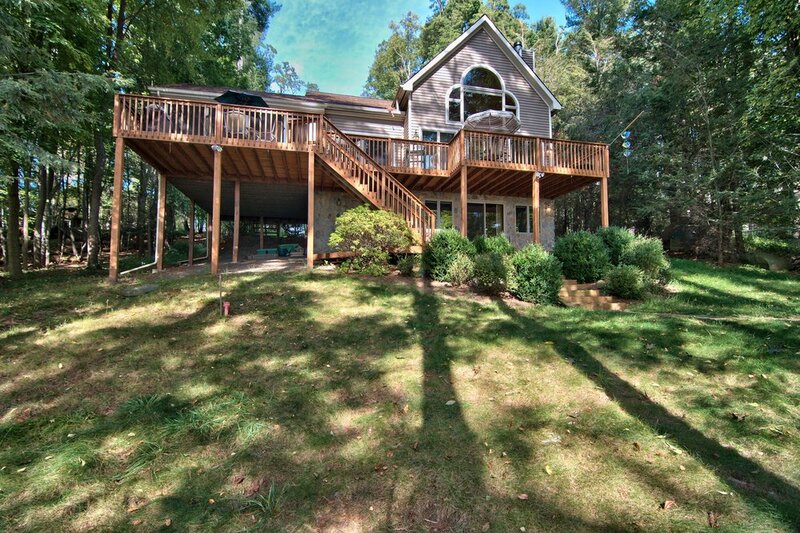 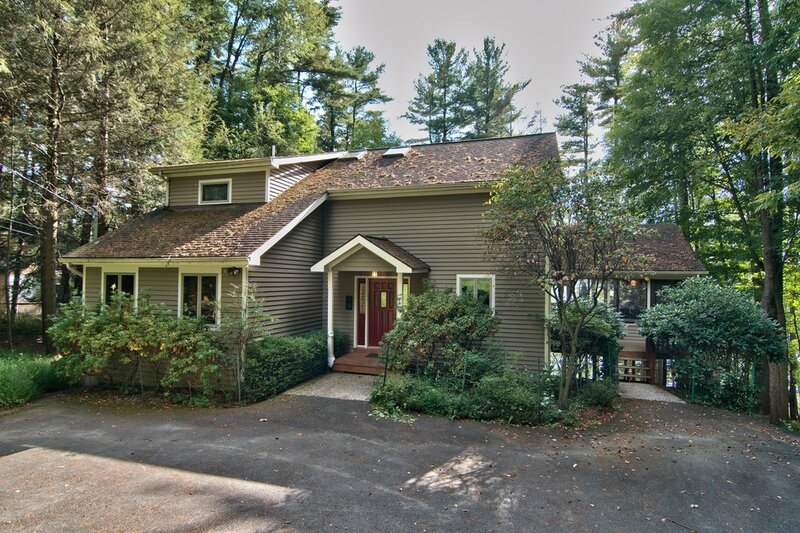 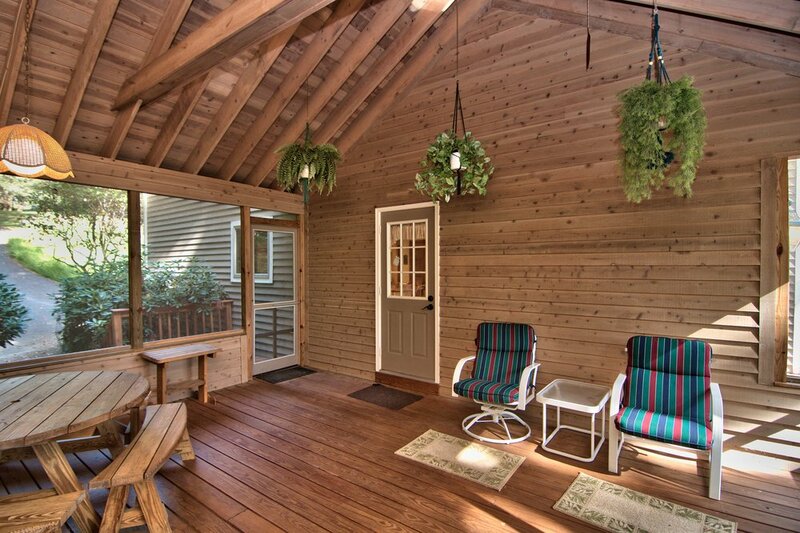 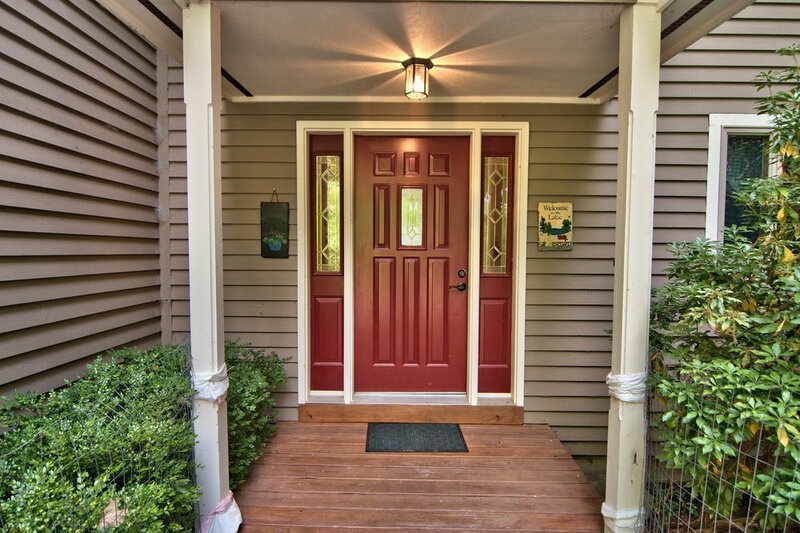 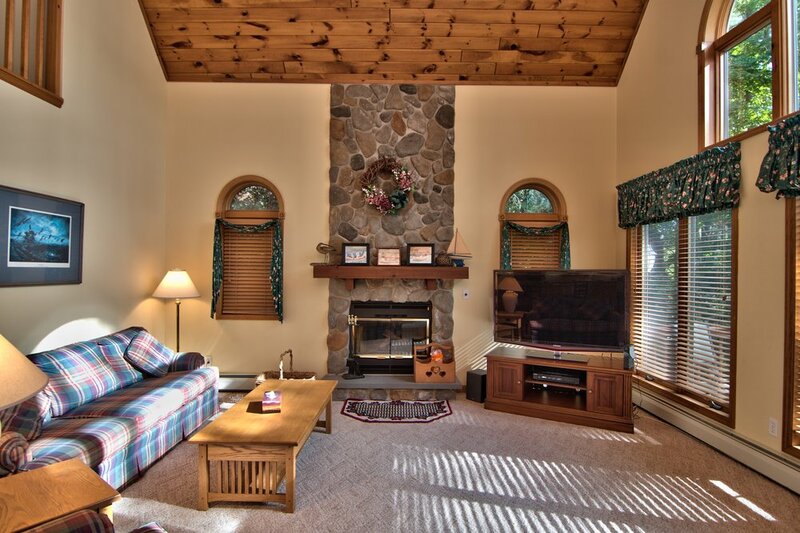 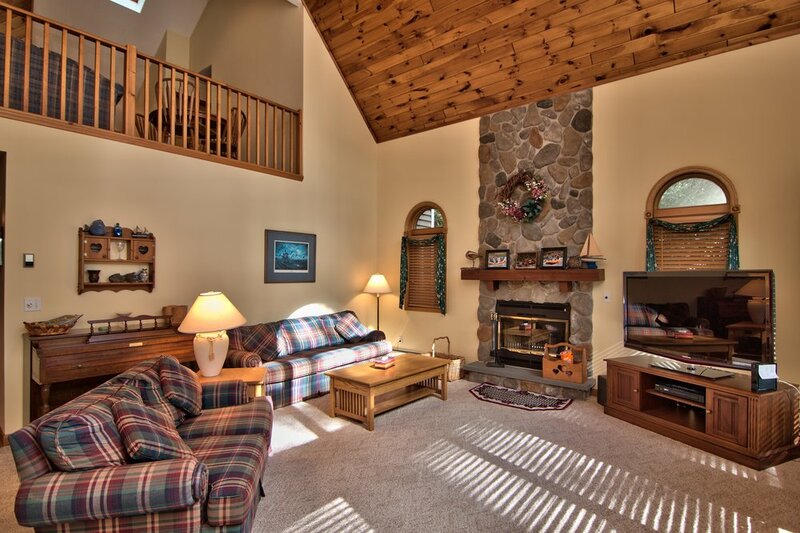 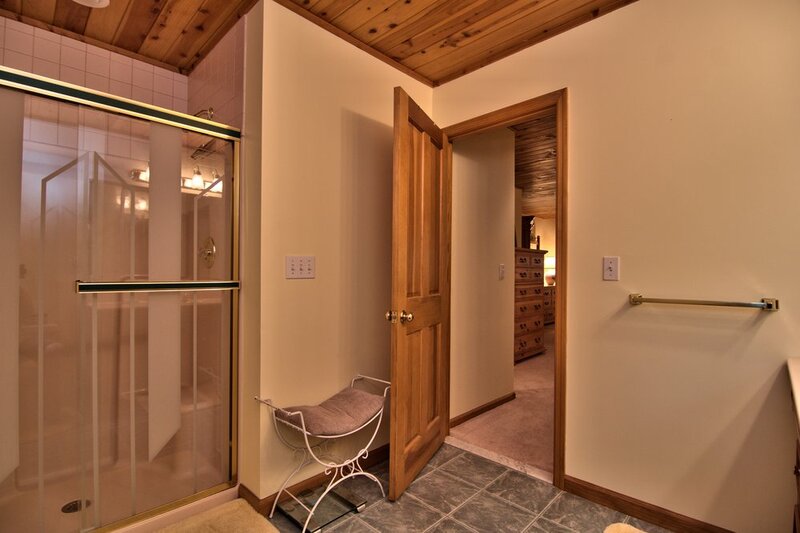 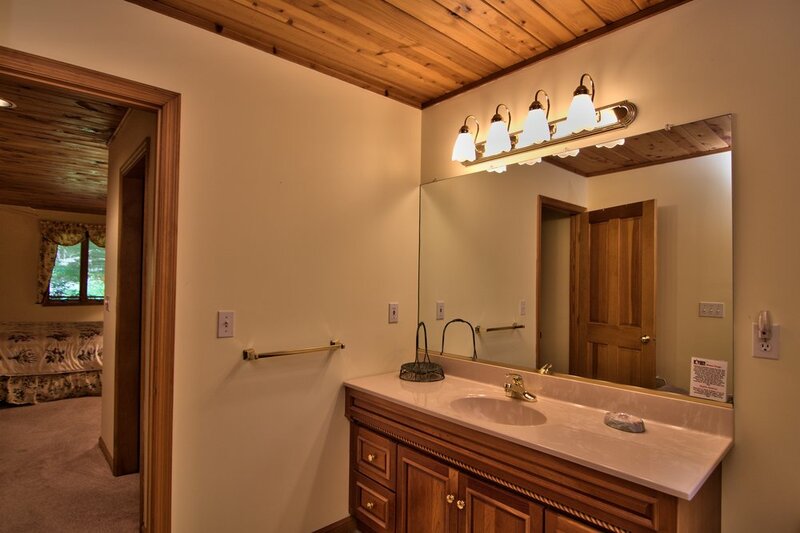 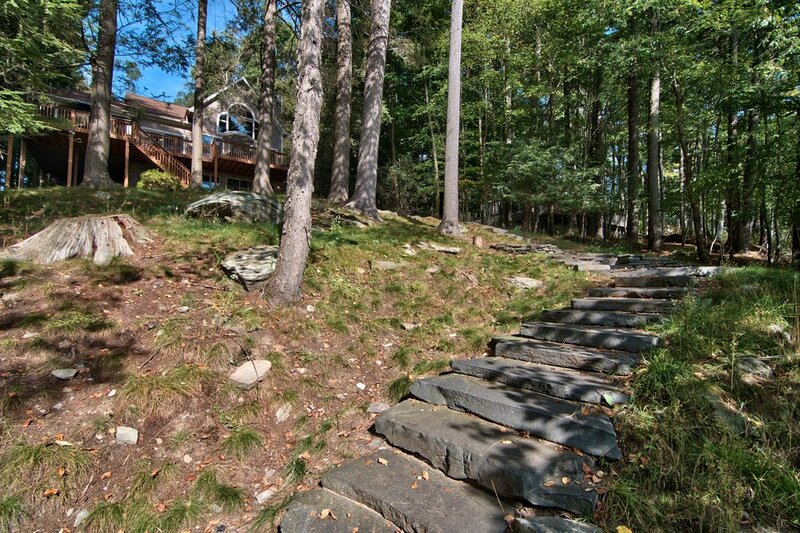 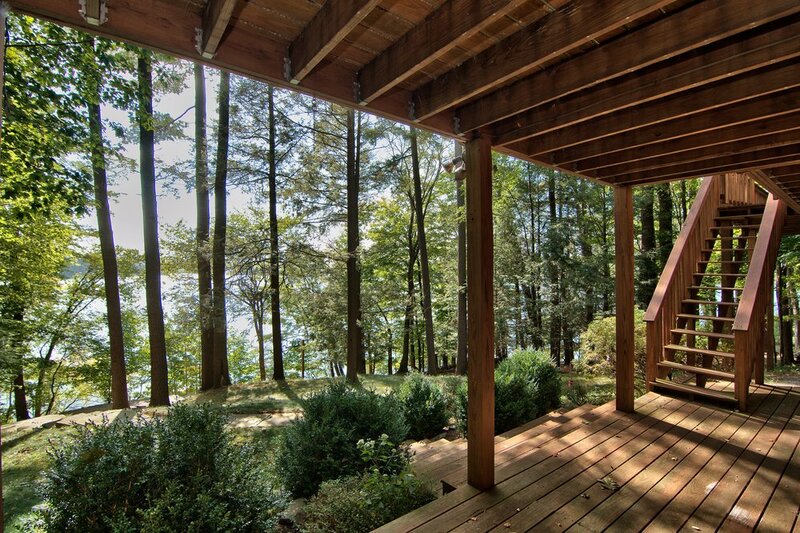 Gorgeous Lakefront home for you and your loved ones to relax the day away. 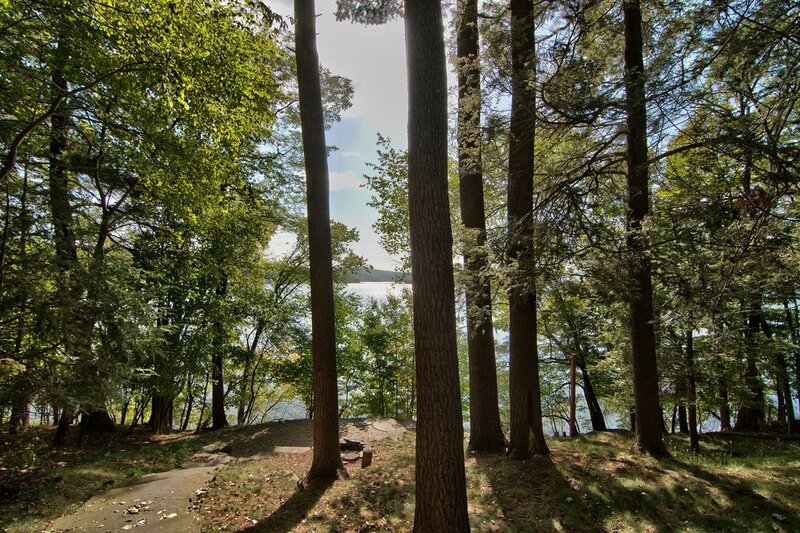 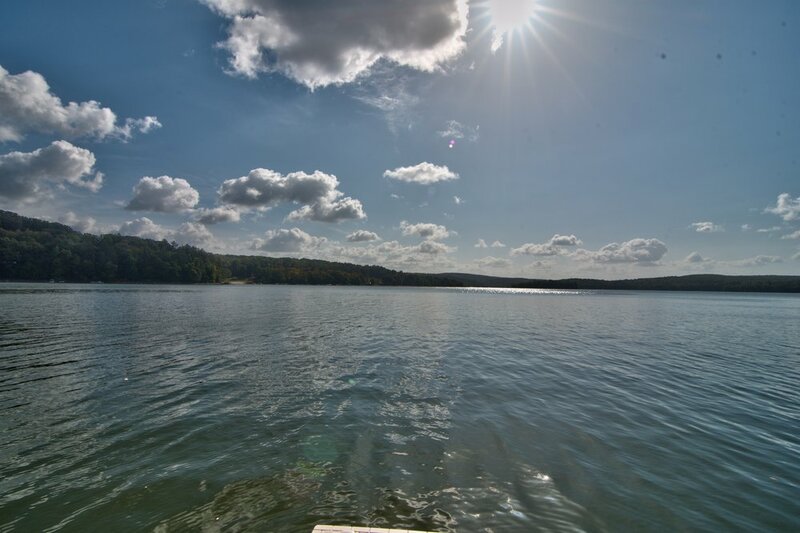 Welcome to the Lake....come on in, relax and enjoy our 4 bedroom 4 bathroom home with 3 finished floors, all with awesome views of Lake Wallenpaupack. 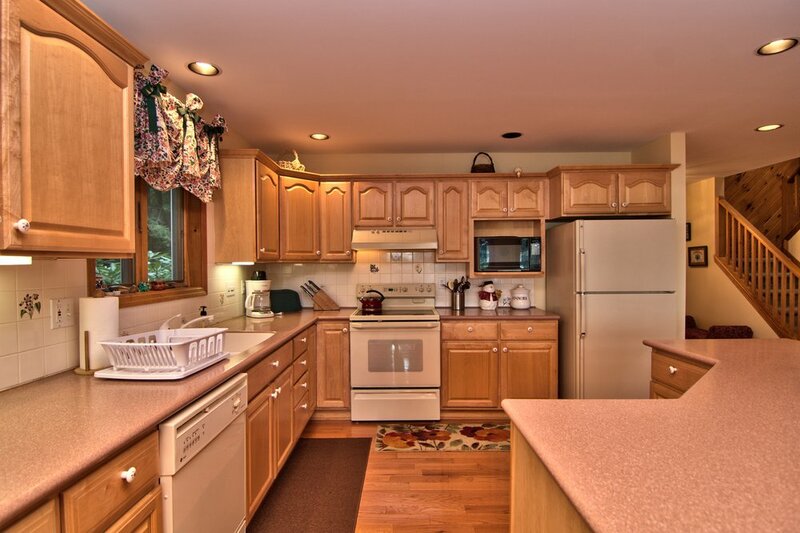 There is a large kitchen for all your family members to gather, plenty of table and chairs both inside and outside, we even have a screened porch for nights when you don't want to battle the bugs. 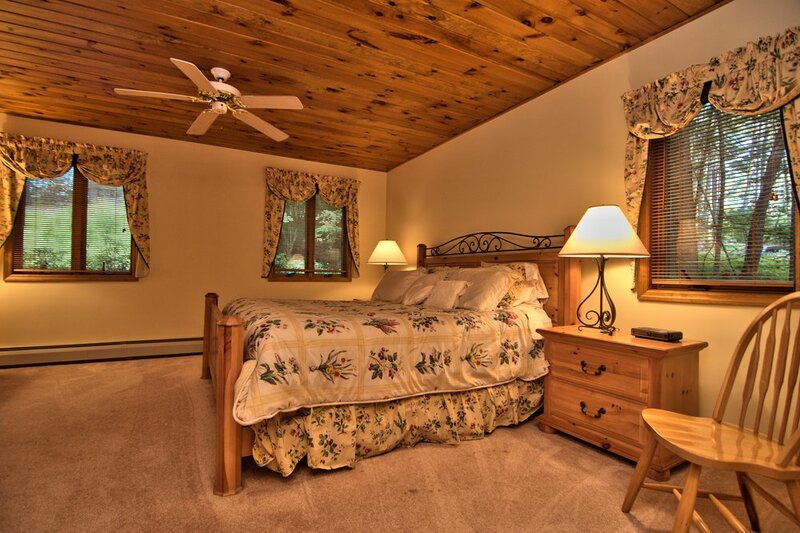 The main level has the master bedroom with king bed and private bath, the upper floor has three bedrooms, one with a queen, one with a full and one with three twins. 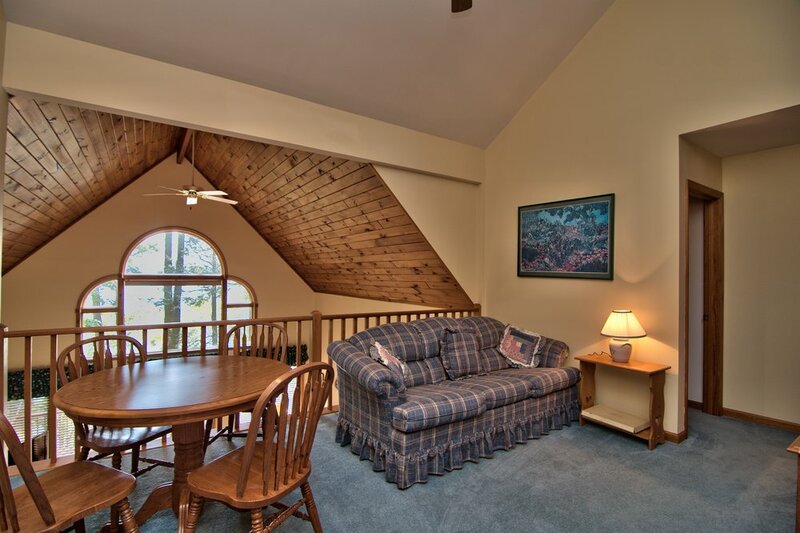 The loft on the upper level has a TV room with couch, main floor has open floor plan with large flat screen TV, kitchen, dining, laundry and screen porch while the lower level has another family room with flat screen TV, large sectional sofa, game table, 1/2 bath and sliding glass door to another deck and pathway leading to the lake. 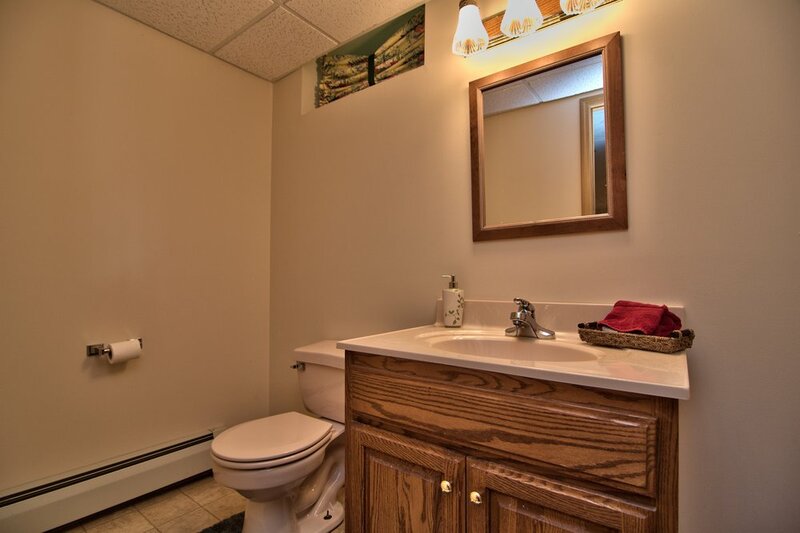 Plenty of room for up to 12 people. 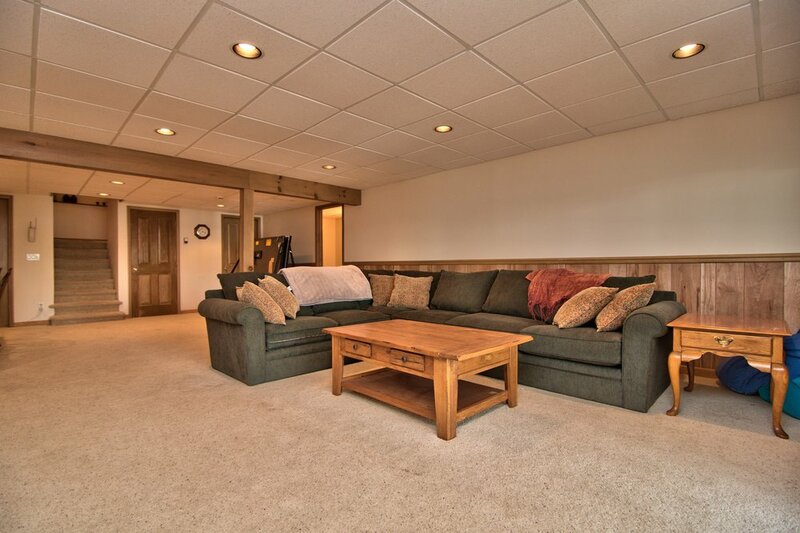 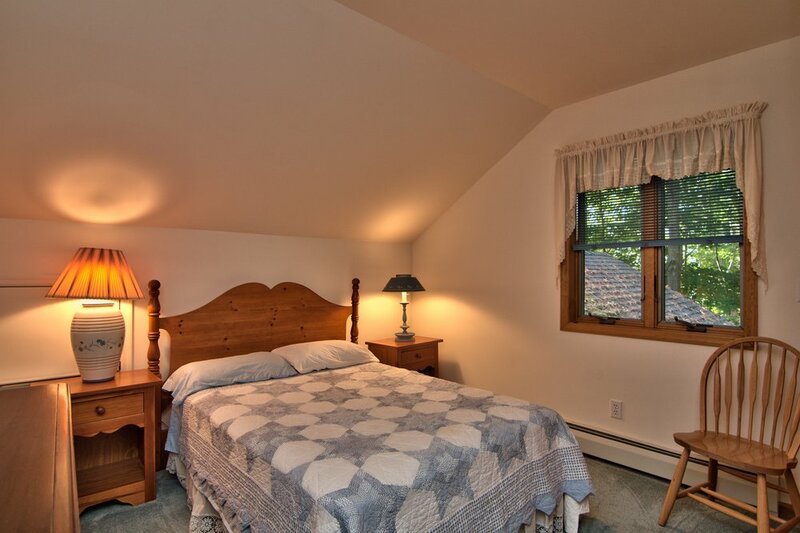 Lower level has plenty of room for extra air mattresses, master bedroom is large enough for pack n play or a single air mattress for children.